Note: This story was originally published on The Urbanist. 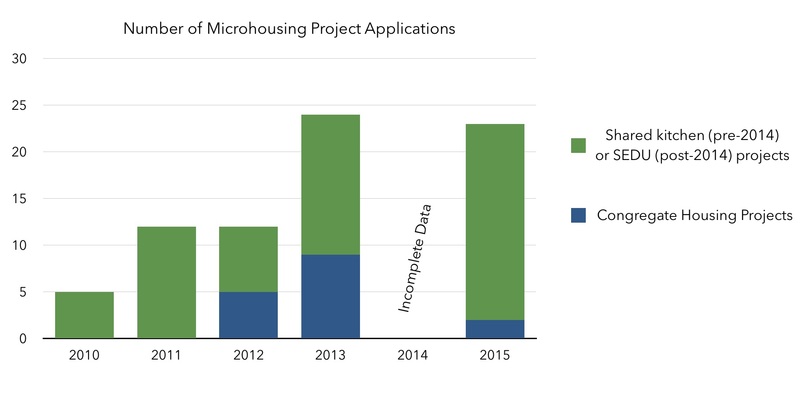 For opponents of microhousing, the rules failed to rein in development: about the same number of projects entered the pipeline in 2015 as the year before the rule change. But just as affordability advocates warned, the new projects no longer include the lowest priced units. Source: City of Seattle and Seattle in Progress.